The almighty golf cart enables us to get around the golf course safely and at a slow speed. A 4-wheeled savior that we depend on for convenience, it’s one of those vehicles that is easy to forget about and let sit in the garage without care. Golf carts need love too- that is, they need regular maintenance to ensure longevity. Make sure you’re taking proper care with these vital tips. How does your golf cart drive? Does something seem off? If you feel like the brakes are jerky or steering is loose, etc. 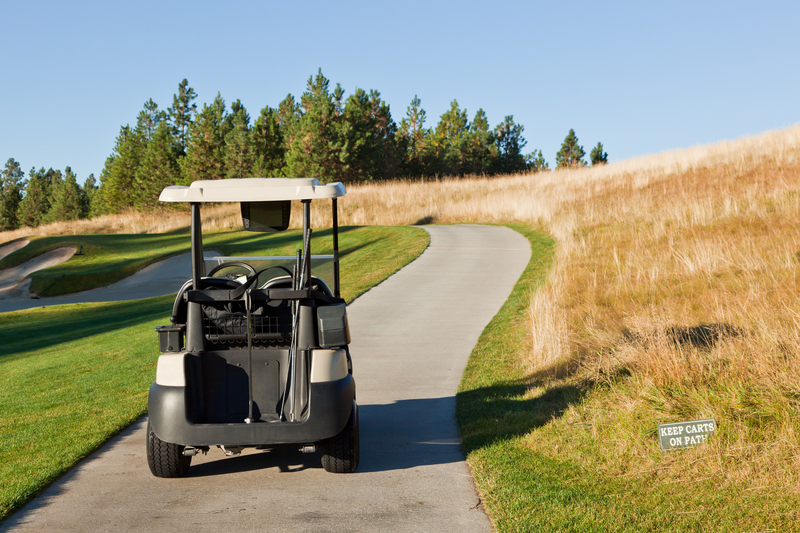 it’s time to take your golf cart in for maintenance at an authorized service center. Have your vehicle inspected regularly to stop minor mechanical issues before they get worse. Don’t leave those tires out! It’s incredibly important to keep tire pressure well-balanced. Not only does this save your tires from fast wear and tear, but it makes your vehicle safer out on the road. Really take the time to give your golf cart battery plenty of love. That means hooking it up to charge every time you return it to the garage. Even leaving a battery only partially charged and sitting can lead to damage. Never let the battery become fully discharged either! Take your battery care to the next level by filling each cell with water after a full charge. The cells should only be filled up to ⅛” or ¼” below the neck that sticks out within the cell. If the battery is overfilled with water, do not attempt to charge it or take the cart for a drive. One of the best ways to preserve your golf cart is to wash it regularly. This prohibits the build-up of grease and grime in spaces that can lead to breakage in the future. Use a mixture of baking soda and water to keep terminal connections corrosion-free.